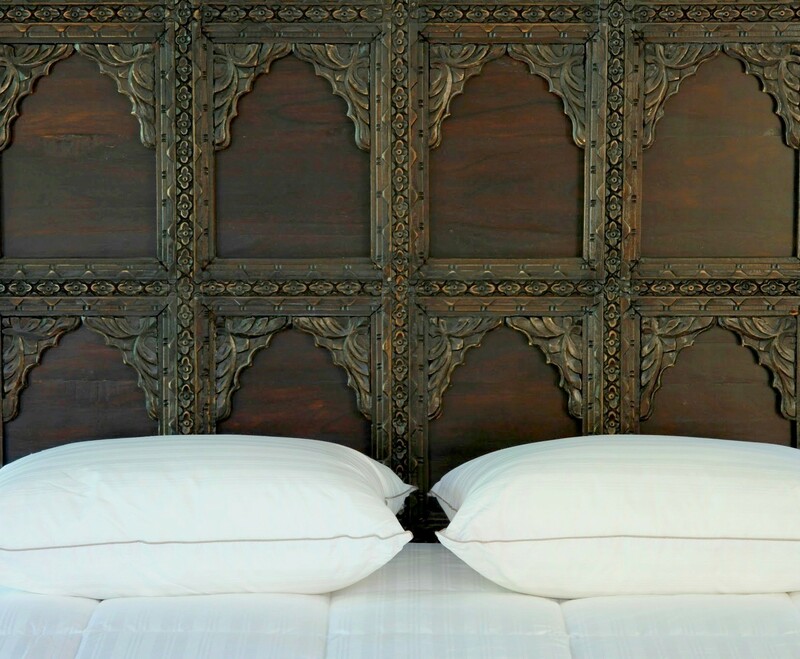 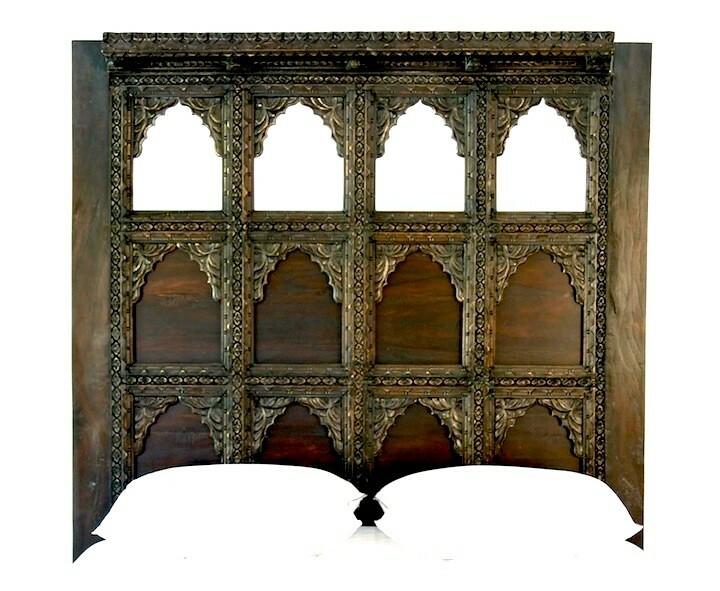 Inspired by the palatial arches of Gujerat, the Devi bed is crafted and framed in Rosewood and can be used on its own or with the Carved Bed Frame. 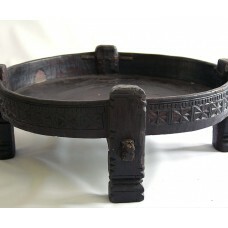 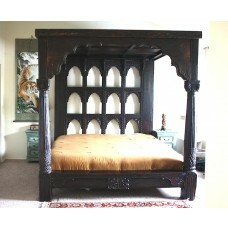 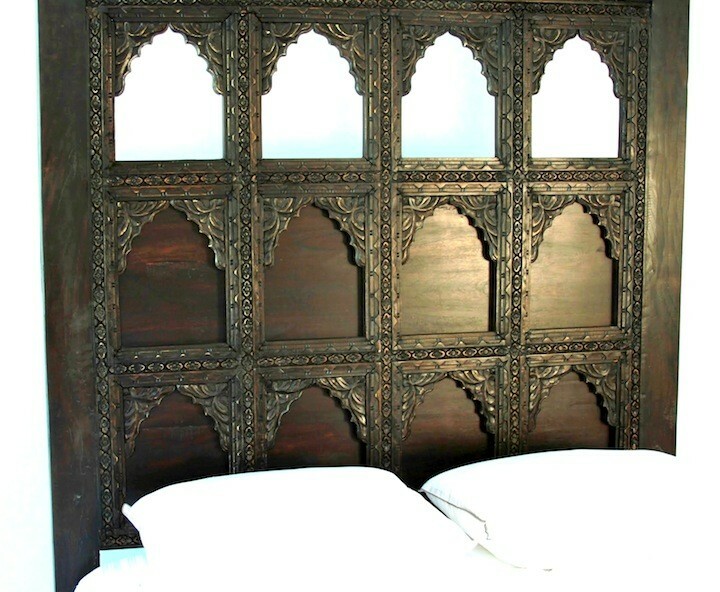 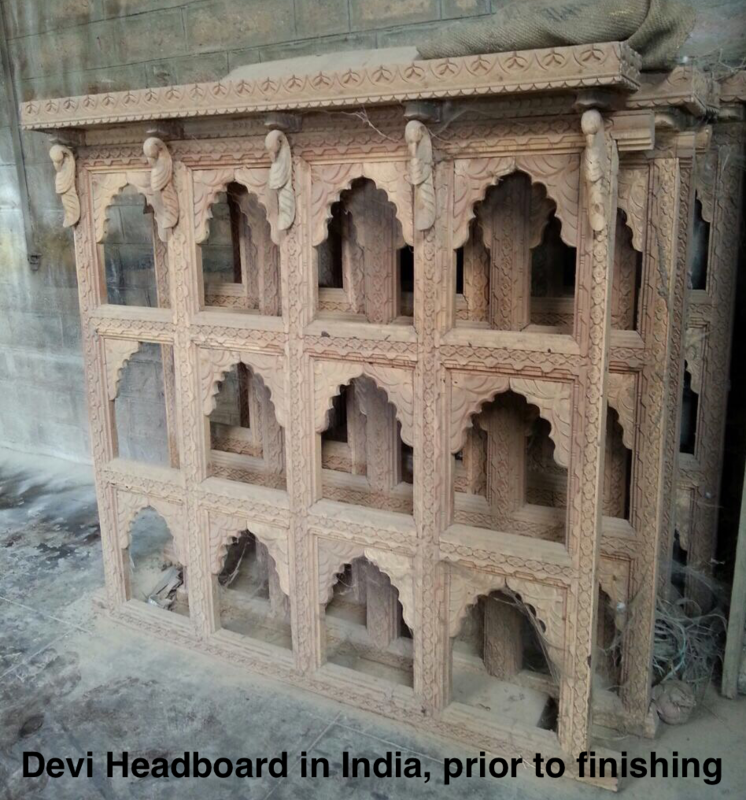 The headboards require mounting, which can be handled by the delivery company. 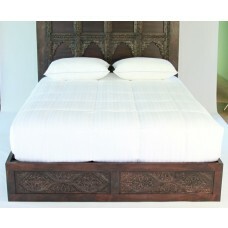 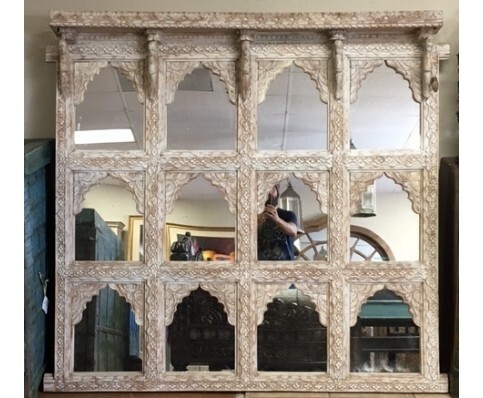 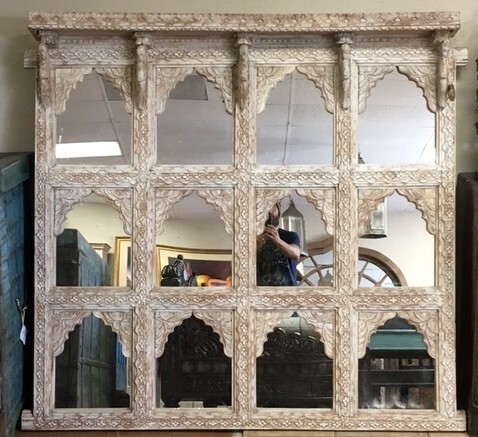 Currently Available in Cream Finish Queen Size with Mirrors, as pictured.